F&B are loving their summer reading project. They are both up to close to 30 books by now and our paper chains in the kitchen are growing so long I'm going to have to loop them up to make a second row! They turned in the first of their summer reading packets to Barnes & Nobles for their first books. Next up, we'll start working on the Borders one or the library one. Of course, the rule is no book can be counted twice! 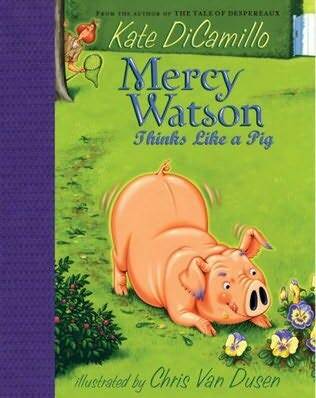 From Barnes and Noble, Ben chose Mercy Watson Thinks Like a Pig (I love these books, so yay!) 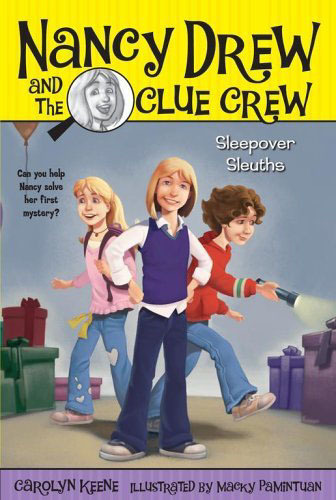 and Faith picked Nancy Drew & the Clue Crew Sleepover Sleuths. I'm hoping she likes it as it's a whole new series for her to enjoy. As for the library, I'm loving not having to *buy* multiple books per weeK! 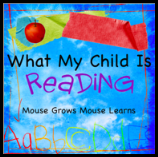 Faith has discovered a series called Baby Mouse that she is addicted to, along with the usual Geronimo Stilton and My Weird School books. She also finished all the Judy Moody books, so decided to read the Stink ones too. Ben is liking a series of pirate books called Pirate Pete and Pirate Joe, and the Bones series by David Adler. He also discovered that many of the Syd Hoff books are at his reading level, along with the Frog & Toad series. He trades off between reading to himself and reading with me. As for me? I'm mostly reading book review books--Getting to Happy by Terry McMillan was the last one, not bad. 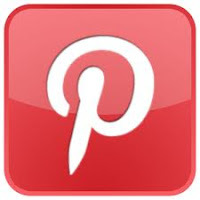 My review of A Jane Austen Education is posted on BlogHer right now. And, if you'd like to win a copy of what I read, BlogHer is giving away the book and the accompanying Jane Austen Complete Novels here. We love Mercy Watson and Babymouse. Have you heard of Squish, by the authors of Babymouse? Took a break from My Weird School--I think we'll be going back to it soon. 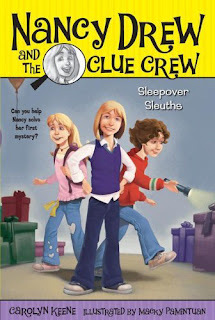 I am still in search of good non-scary series for my 4 year old to read on her own. She found Fairies series by Daisy Meadows too scary. She read most of the Magic Tree House. Any recommendations? 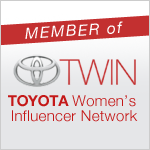 Thanks for joining WMCIR! What a GREAT idea about the reading chain! A visual look at their accomplishments! 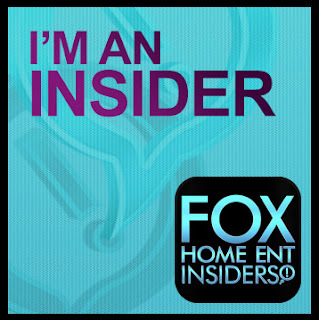 Stopping in from HHH!